For our last Rising Star of 2012, we would like to introduce you to a very talented affiliate who runs a bi-lingual YouTube channel and blog. Permporn currently resides in California with her family and is fluent in English and Thai. It takes a lot of hard work and dedication to run a YouTube channel/blog and we believe she goes above and beyond by offering her tutorials in two languages. To learn more about Permporn please keep reading! Sigma: What is it like having a YouTube channel in English and Thai? Permporn: Having my channel in both languages is sometimes a challenge, but with great satisfaction. I work long hours to set up, film, edit, and process my videos because I do the same video twice usually. I love that I can offer something not just to the Thai community, but for the rest of the world by having separate videos in different languages. Sigma: How did you decide to start a multi-language channel? Permporn: At first, I didn't! I just wanted a channel in Thai, but more and more viewers wanted to understand what I was saying, so I decided that that's not such a bad idea. It's great when I can share what I know to Thai people, and also everyone that wants to know about Thai beauty trends in English, of course! Sigma: Have you ever gone to makeup artistry classes or did you teach yourself? Permporn: I have never attended makeup classes or school. I was self taught and learned mostly from my own makeup flaws and watching other people. I always wonder when I saw a pretty girl working at Sephora for example, how she could have such velvety skin and beautiful lashes. I wanted to be that girl. So just trial and error and experimenting with different makeup exposed me to the road of near perfection (I haven’t gotten there yet--still learning!). 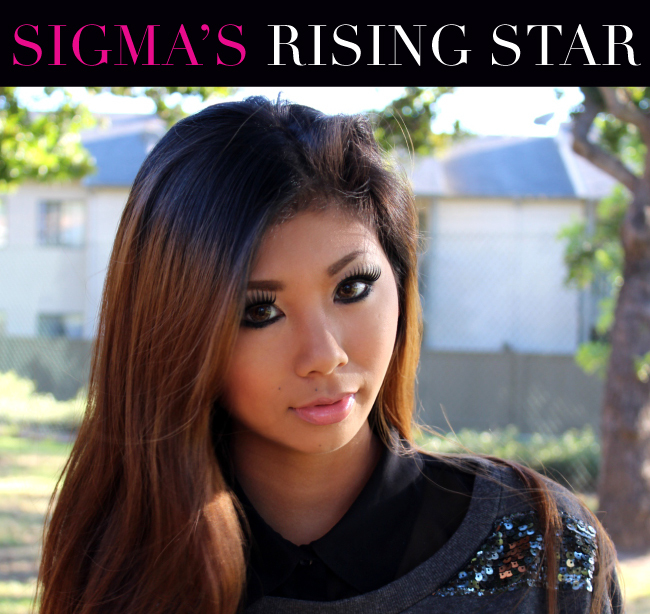 Sigma: What are you doing when not working on your YouTube channel or blog? Permporn: I work part-time and I am currently enrolling in graduate school for my master's in Aerospace Engineering. I love the beauty industry, but I have to pursue a solid foundation. It's very competitive and I want something to fall back on. Sigma: Give us your best piece of beauty advice. Permporn: My best beauty advice has to be skin care. Understand your skin type and concerns. Don't feel bad if an eye cream or serum costs more than your week's grocery bill. It is never too early to start preventing fine lines or blemish outbreaks! Go check out Permporn’s channel, which offers tutorials, hauls and reviews (in English AND Thai!). You can also see her blog here! This is so awesome and I am happy for you. See I told you that you are a guru lol. I would love to be a Rising Star one day. I checked out her channel and watched an entire Thai video (I only speak English, and a bit of French) because I love languages. It was fun to watch the English version afterwards!